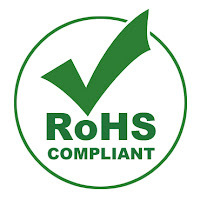 RoHS is the acronym for Restriction of Hazardous Substances. Originating in the European Union (EU), and known as Directive 2002/95/EC, it restricts the use of six hazardous/toxic materials used in electrical and electronic products. Category 8 (Medical Devices & Equipment) and Category 9 (Control & Monitoring Equipment) are currently exempted from RoHS compliance. For more information about exempted materials check out the UK’s National Measurement Office site. While RoHS is an EU directive, it impacts any business that sells the aforementioned products to RoHS countries or to resellers, distributors, or integrators that sell these products to EU countries. All impacted products introduced into the EU market after July 1, 2006 have had to pass/apply RoHS compliance. 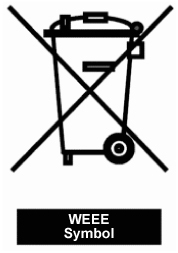 A related directive to RoHS is WEEE, which stands for Waste from Electrical and Electronic Equipment (Directive 2002/96/EC). For more information on WEEE, see the European Commission’s WEEE Directive page. As a piece of electronic equipment myself, RoHS and WEEE are important to me. Plus, it's just plain fun to shout WEEE as I zip through the warehouse here at Q Source. 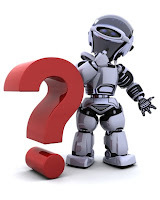 Thanks for your question, S.R.G., and please continue reading The Q Source Resource blog. 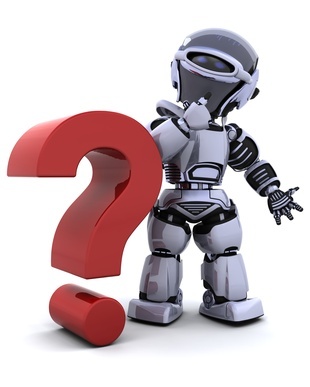 To submit your "Question for Q-Bot," please contact me via Twitter (@q_source), Facebook, or the "Ask a Question" link on the QSource.com homepage. High-Tech Trash - Will your discarded TV end up in a ditch in Ghana?